Kurt Morrow is one man who does nothing but build custom vintage motorcycles from the ground up. Kurt is the designer, fabricator, builder and mechanic. He believes that bikes should be built to ride and that form and function are equally important. Kurt's attention to detail is what makes him stand out, he devotes countless hours of fabrication to each bike making sure the style and proportions are correct. These bikes are constructed with the goal of lasting well beyond our lifetime. 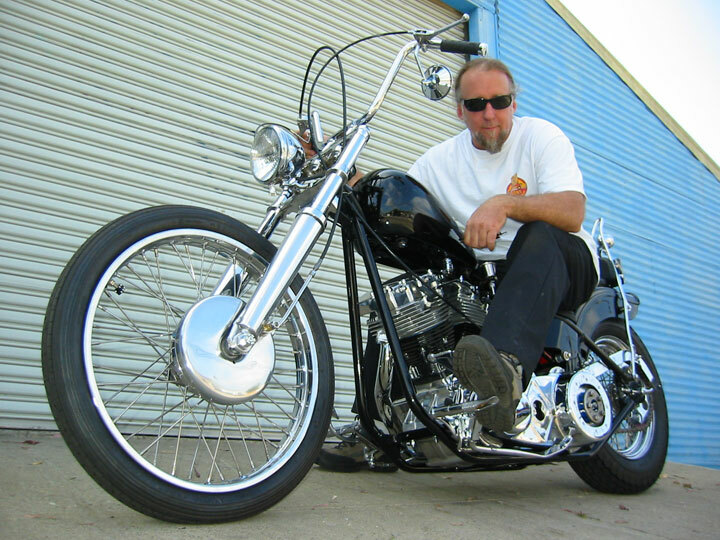 Kurt has been a mechanic longer than he can remember but has dedicated the last 16 years to building his passion, quality vintage bikes. These aren't bikes you put on display, these are bikes that you ride!